Published on July 4, 2014 in Events and News. 0 Comments Tags: game developers, GCAP, GDAA. 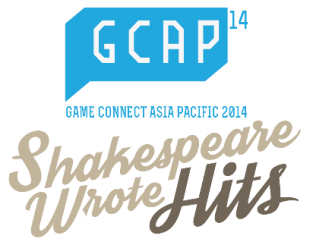 Now is the winter of our discontent… or something to that effect; for these wintery days are the perfect time to sit back and ponder the depths of this year’s Games Connect Asia Pacific (GCAP) theme ‘Shakespeare Wrote Hits‘. Verily, the Game Developers’ Association of Australia (GDAA) are currently accepting session proposals for speakers from all game development disciplines for GCAP 2014. There is no denying that the works of Shakespeare are, today, of profound cultural and artistic importance. That Shakespeare was a great poet is undeniable. However, as a playwright, Shakespeare’s purpose was singular – to write shows that could be performed to large crowds who would pay for the experience. Each play was crafted with the audience in mind and in doing so Shakespeare filled the seats of his theatre. Shakespeare wrote plays to make money. Shakespeare wrote hits. GCAP 2014 explores the mix of creativity and commercialisation with an understanding that the two are not mutually exclusive. The event will focus sharply on the decision making process in all disciplines with special emphasis on the methodologies, techniques and creative choices that can and have been made or applied to ensure a game has maximum appeal to its intended audience. Deadline for submissions is close of business, Friday 25 July 2014.